Rose Namajunas waited nearly a year for a return to the Octagon after competing in the finals of The Ultimate Fighter 20. Now she will get two fights in two months, as she follows up her October win over Angela Hill with a UFC FIGHT PASS main event bout against fellow strawweight contender Paige VanZant on Thursday, December 10 in Las Vegas. The change to the main event The Chelsea at The Cosmopolitan of Las Vegas comes after Joanne Calderwood was forced to withdraw from the bout due to injury. Now fight fans will kick off the biggest week of 2015 with a five-round clash between the third-ranked Namajunas (4-2) and the sixth-ranked VanZant (6-1), as Milwaukee's "Thug" Rose attempts to halt the four-fight winning streak of one of 2015's breakout UFC stars. 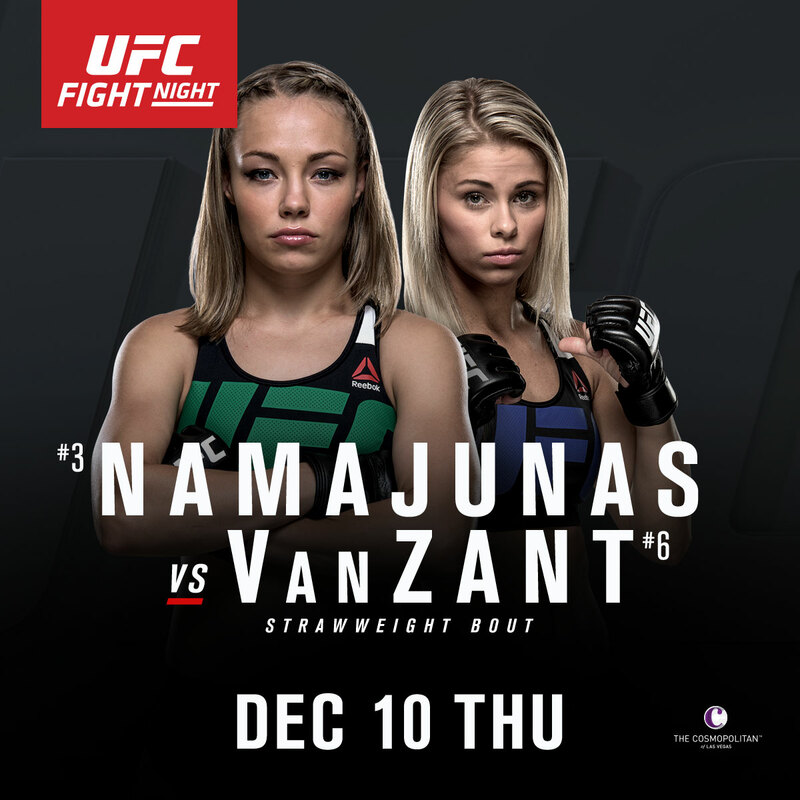 Tickets for UFC Fight Night: Namajunas vs. VanZant are on sale now. The card will air live on UFC FIGHT PASS.